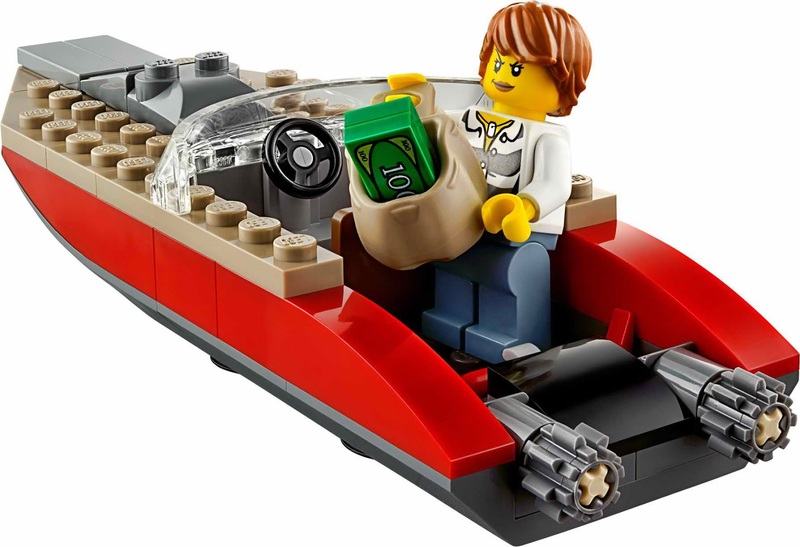 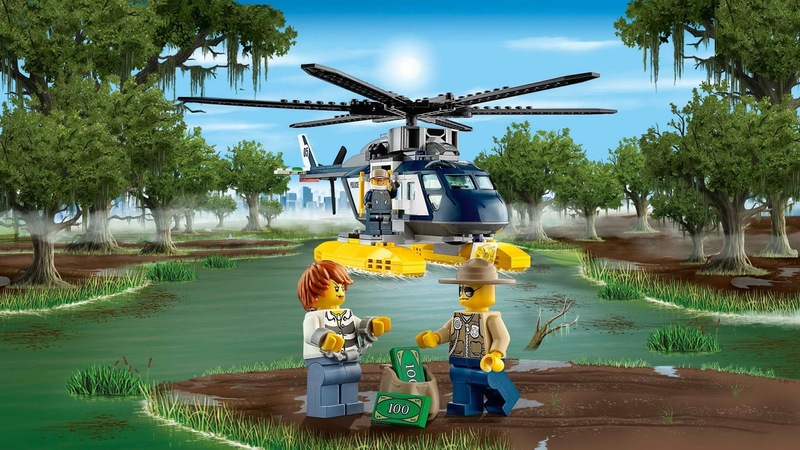 come with a police helicopter, a crook’s speedboat, an alligator and a hideout. 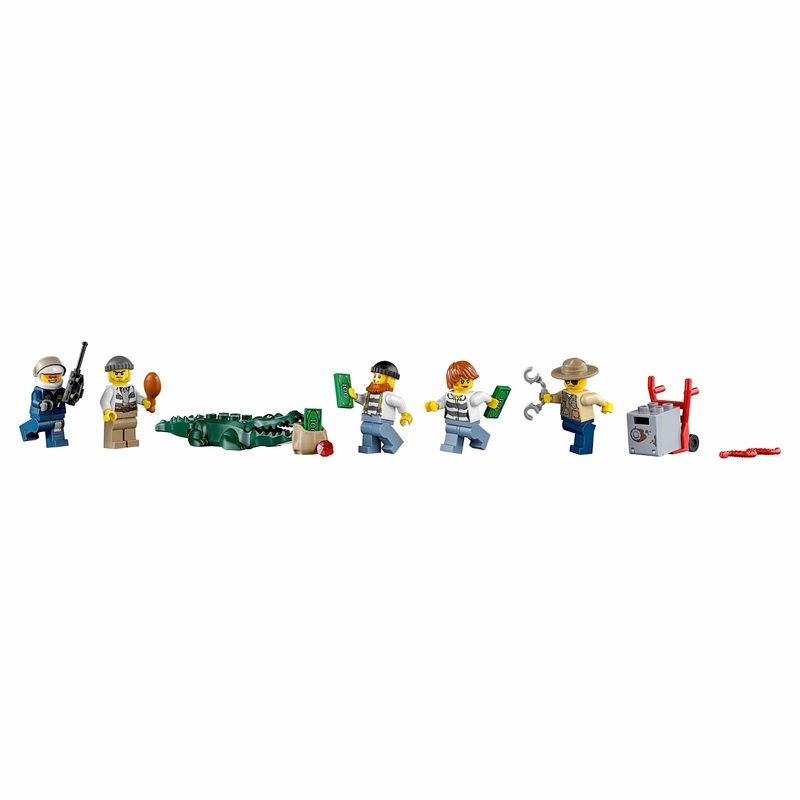 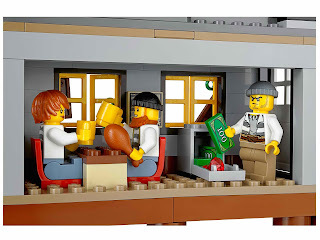 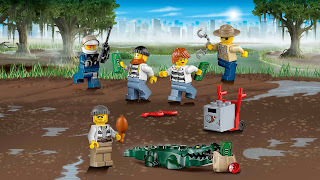 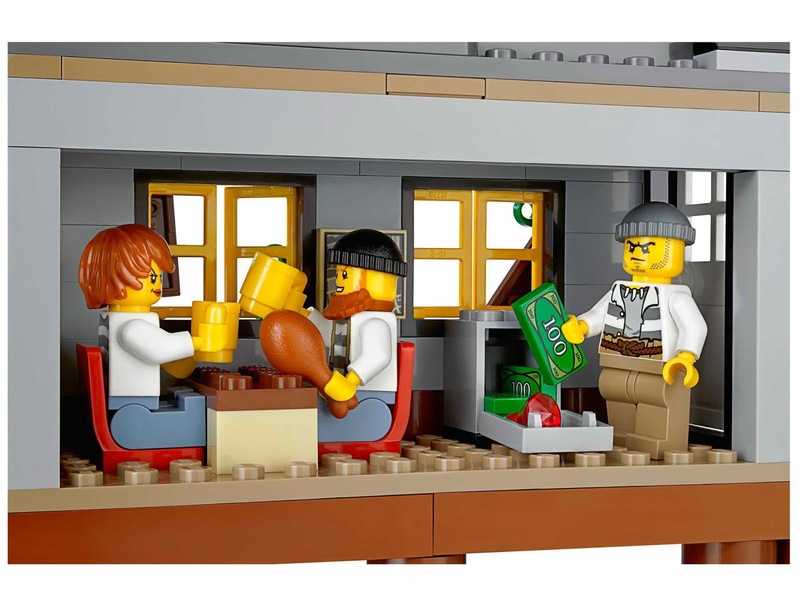 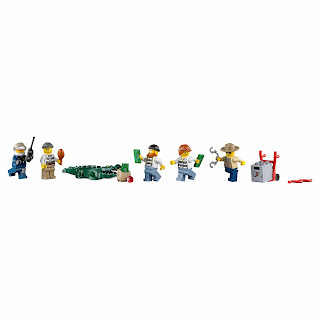 minifigs included a pilot minifig, a police officer minifig and a female crook minifig. 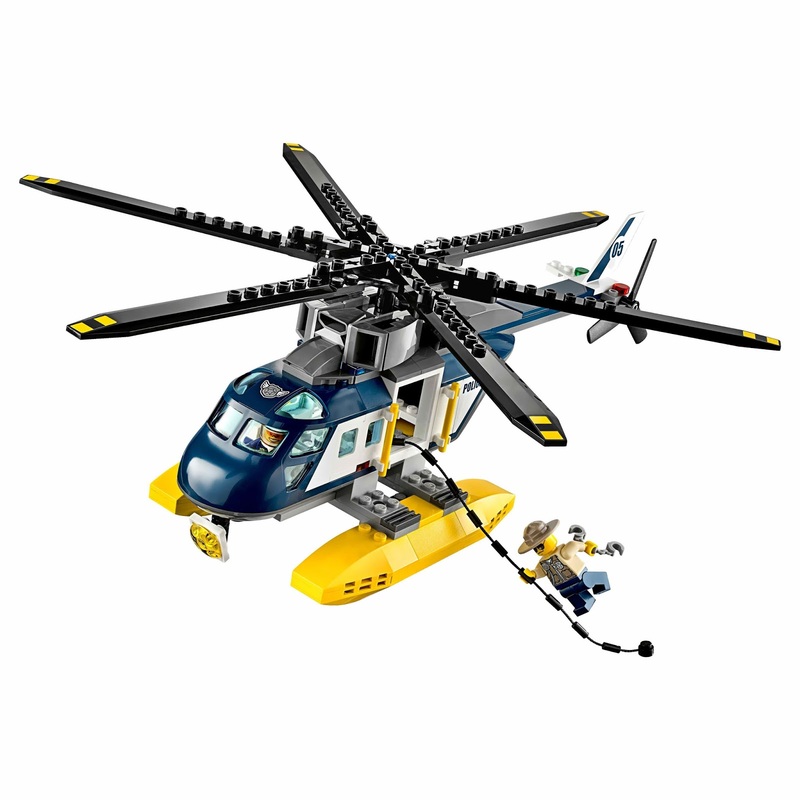 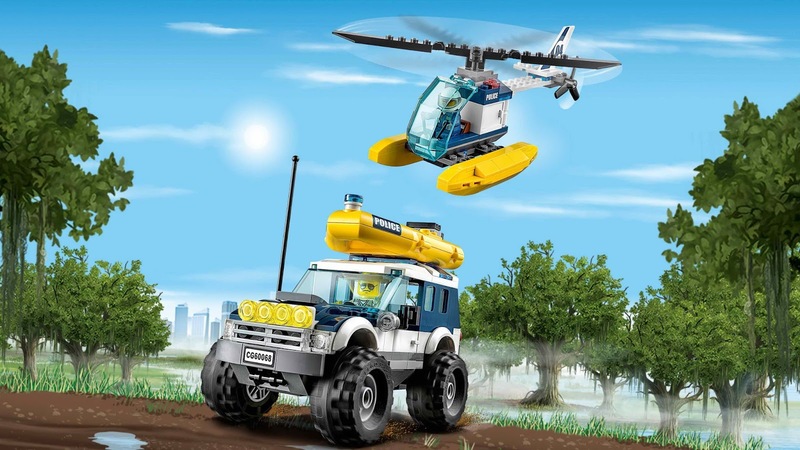 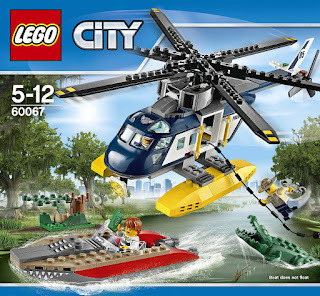 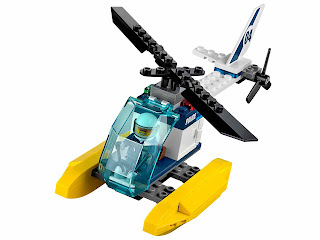 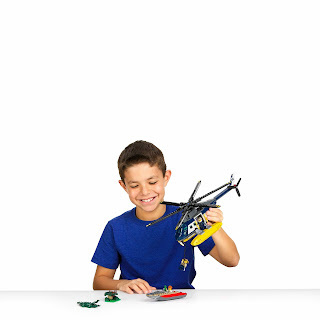 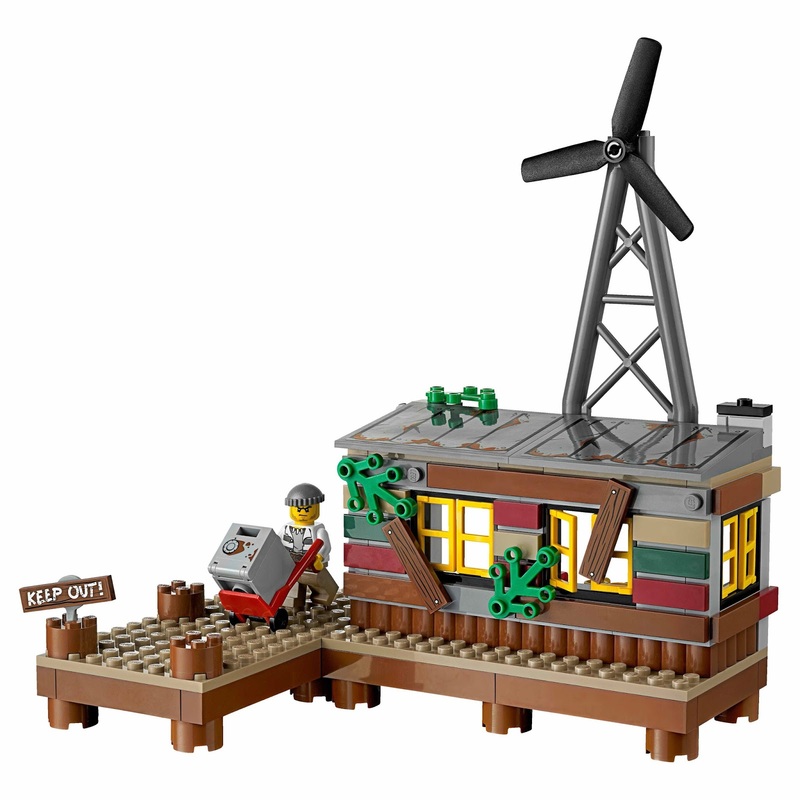 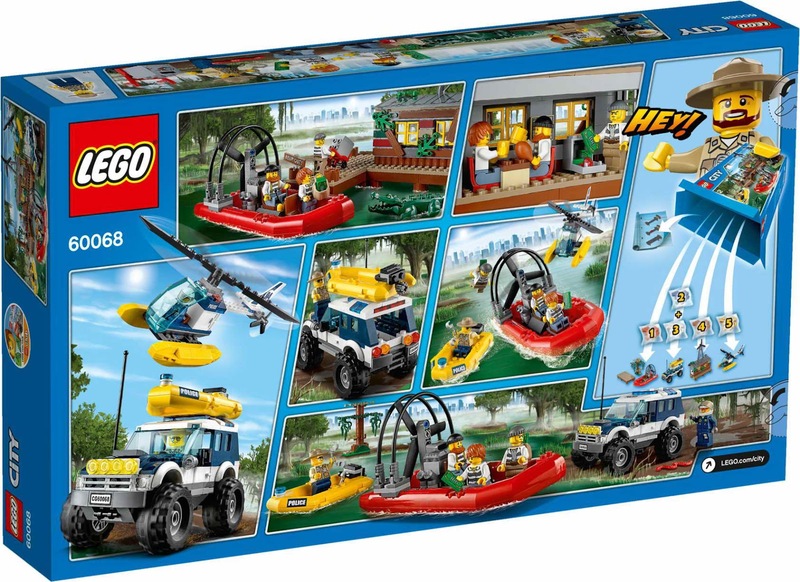 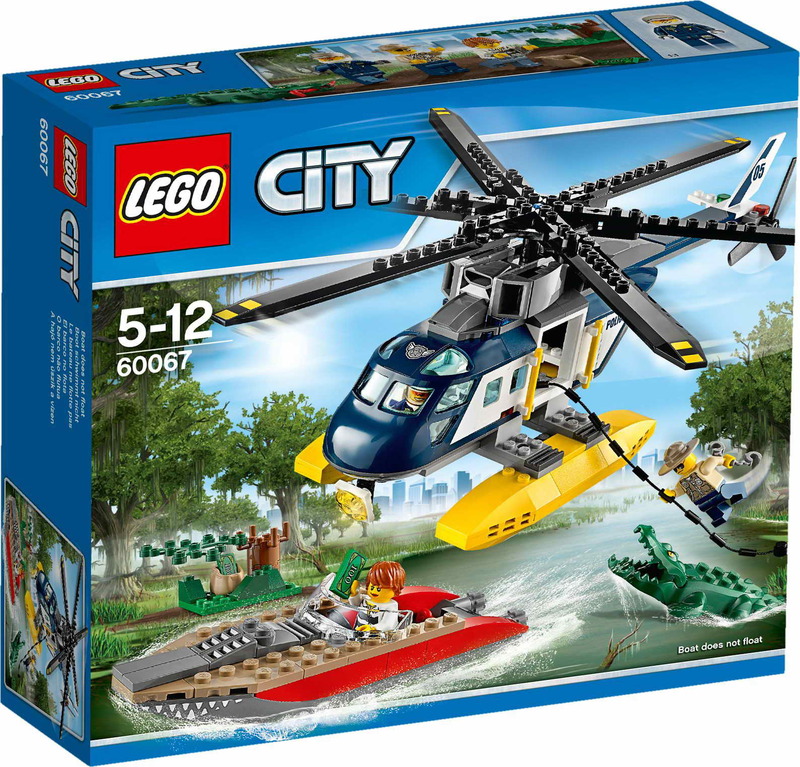 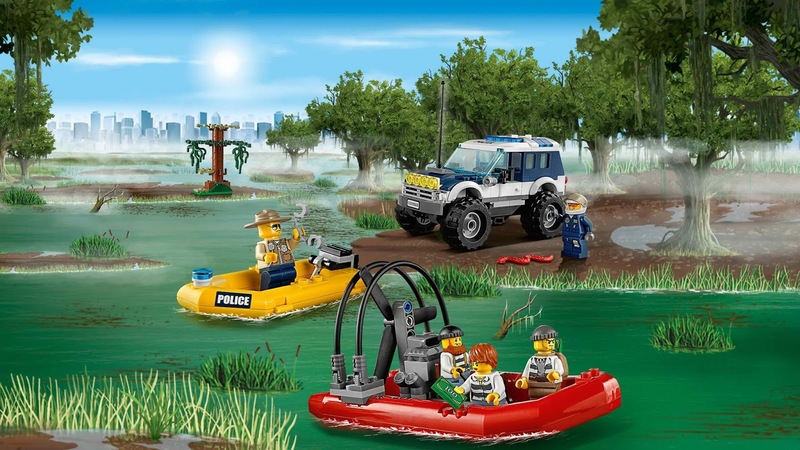 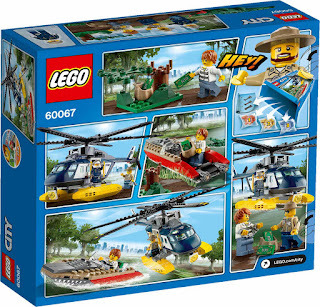 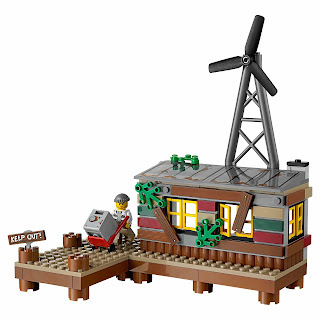 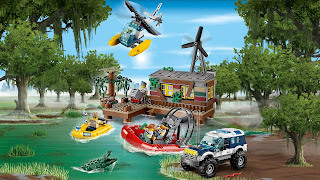 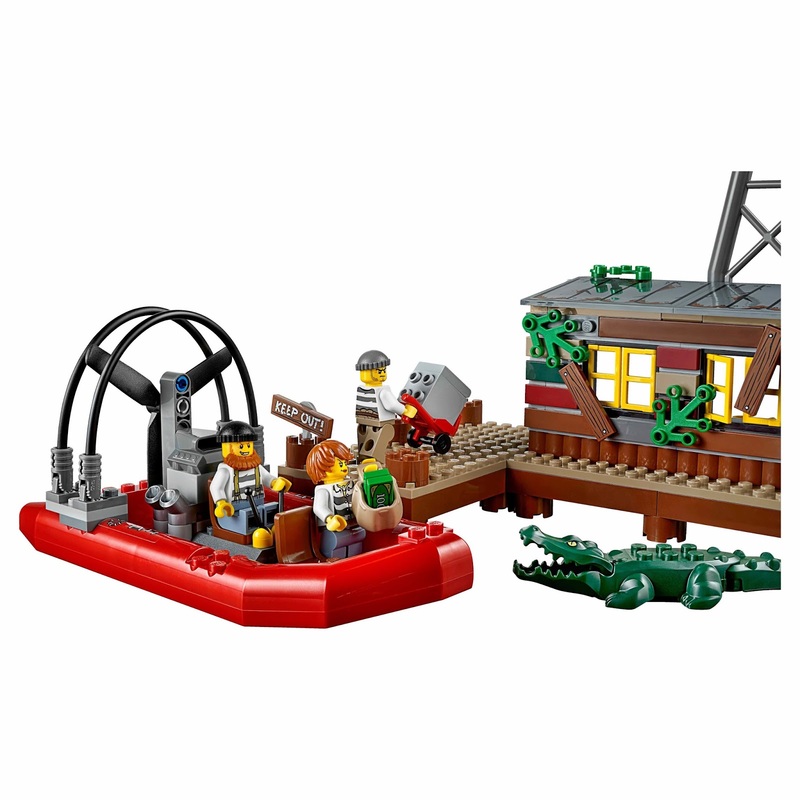 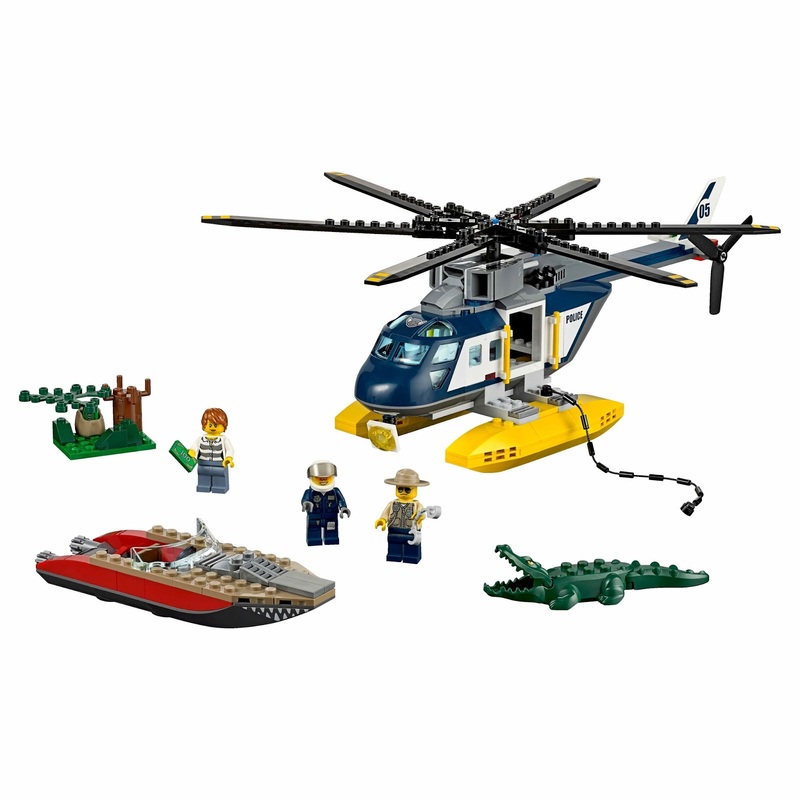 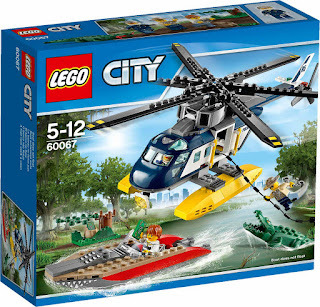 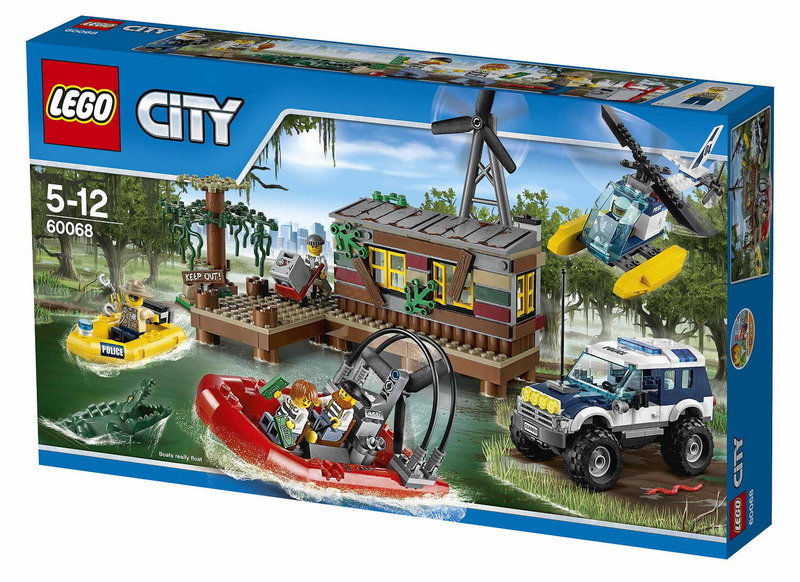 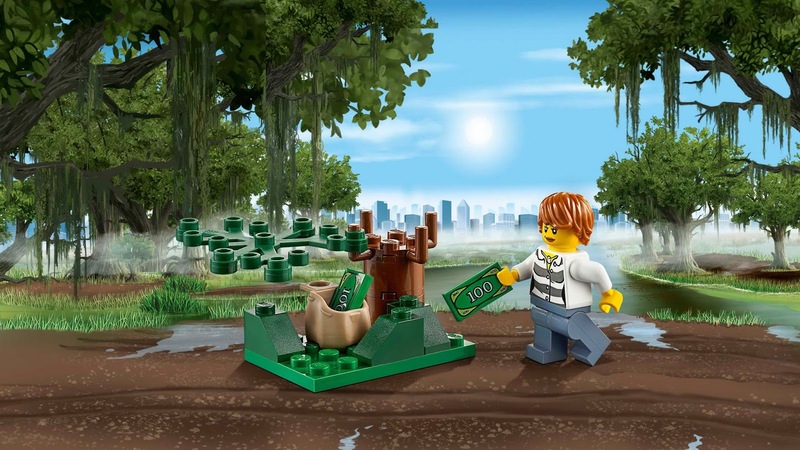 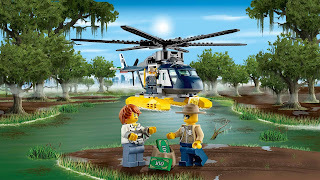 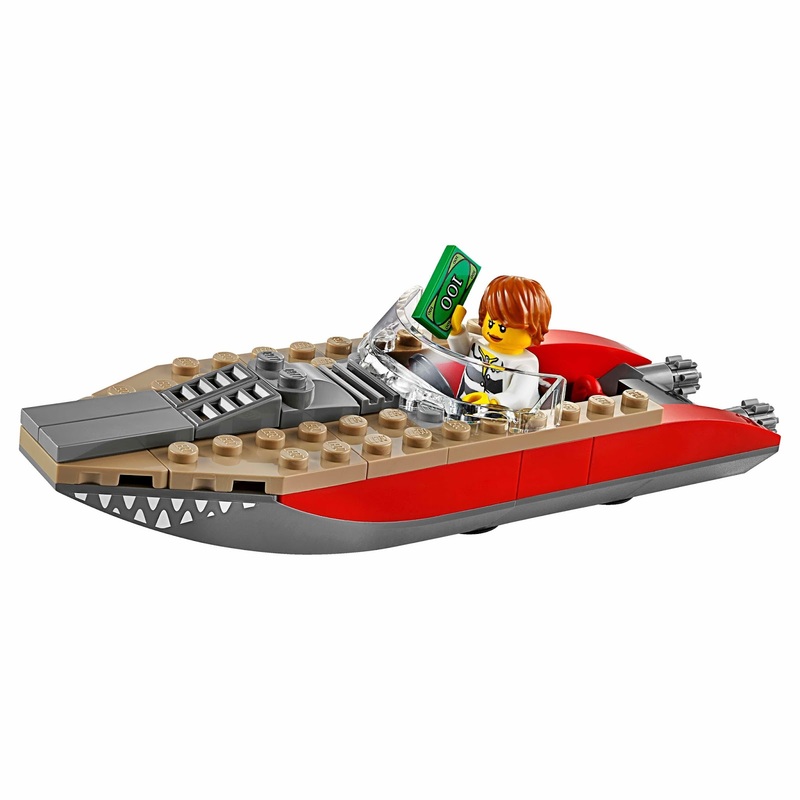 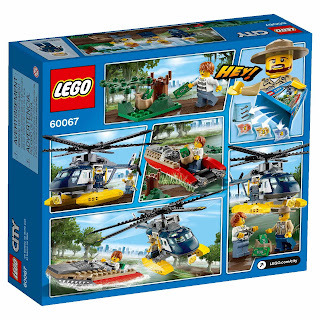 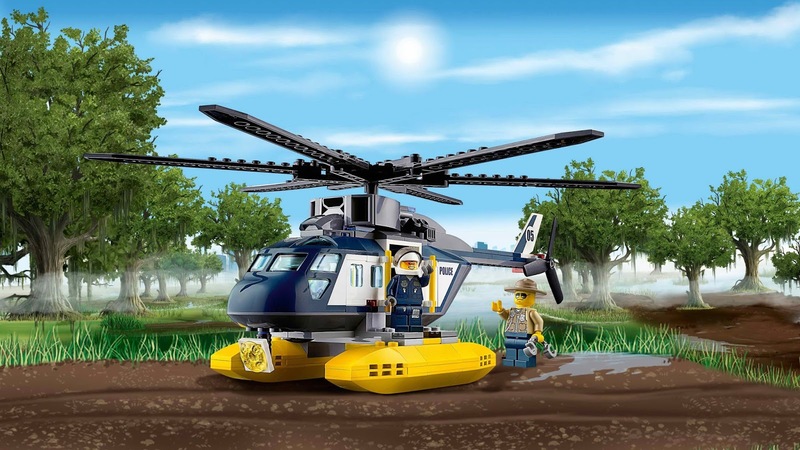 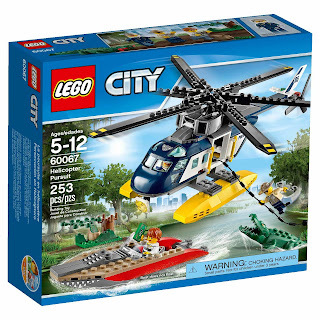 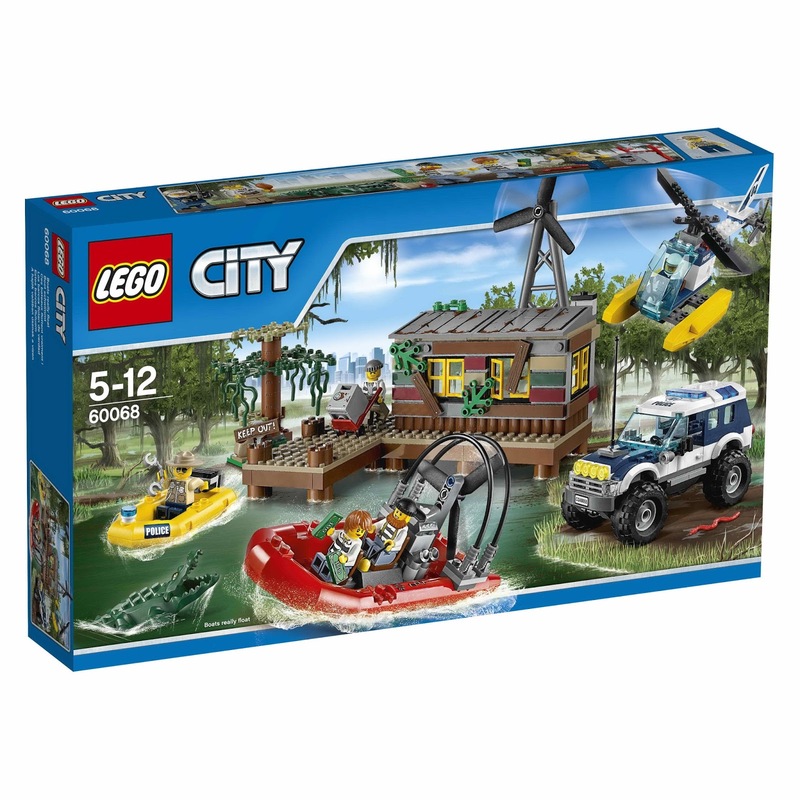 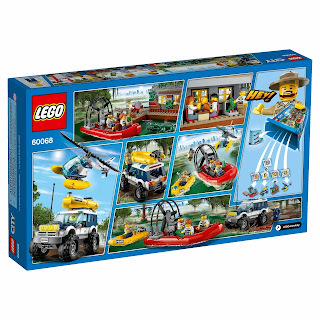 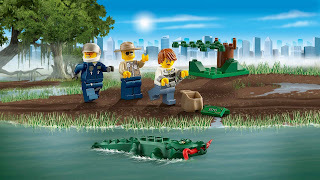 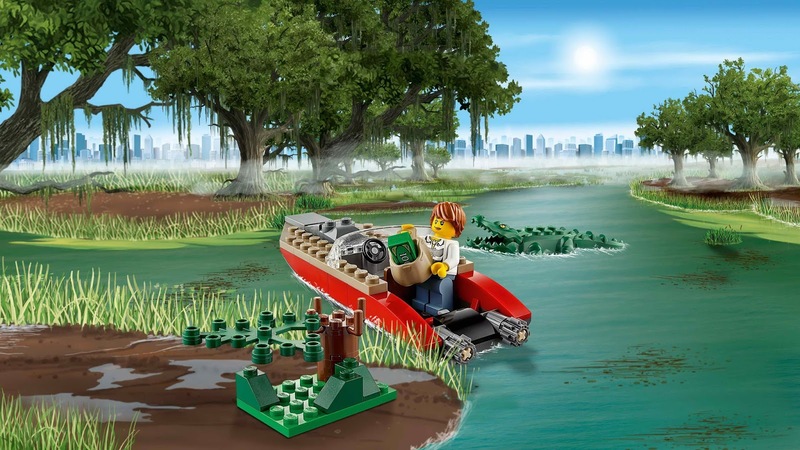 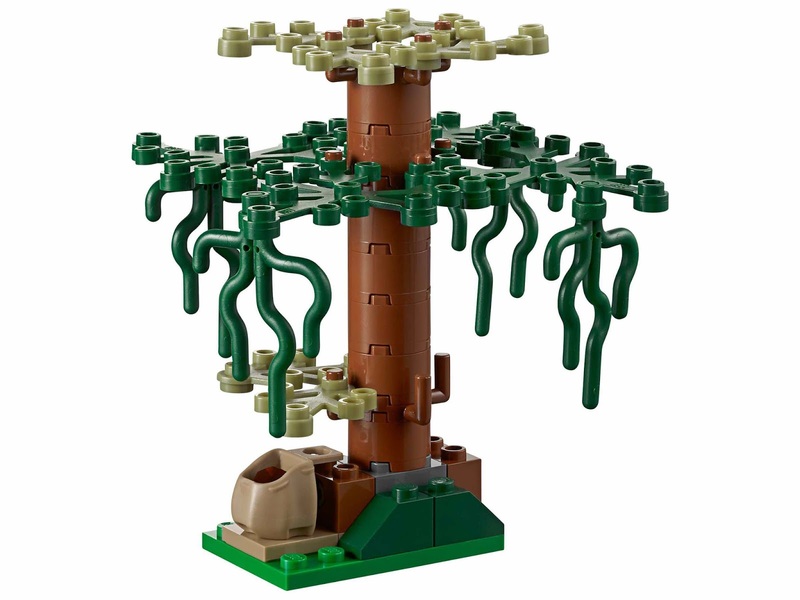 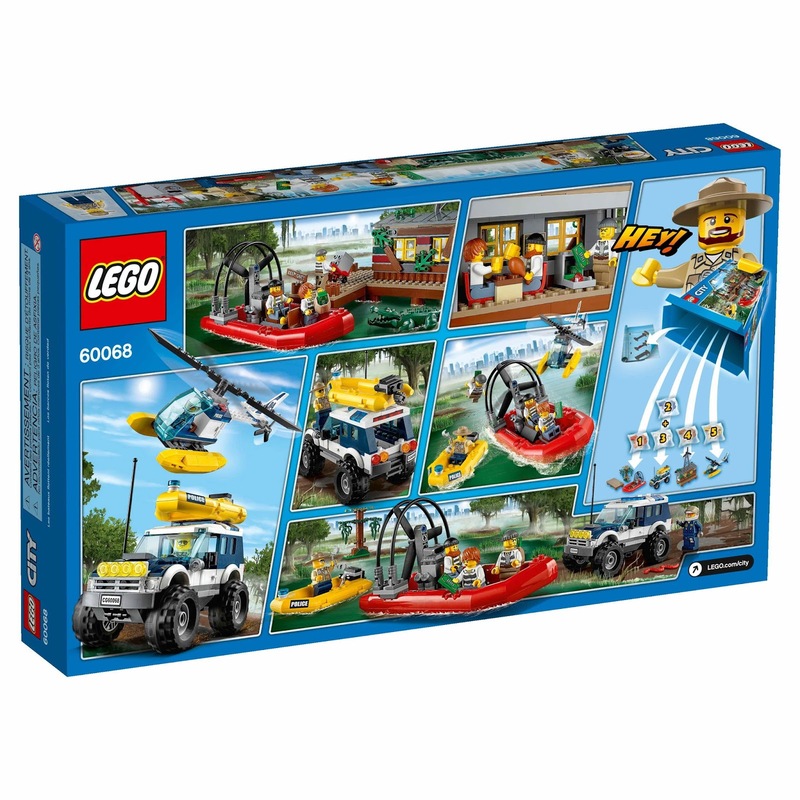 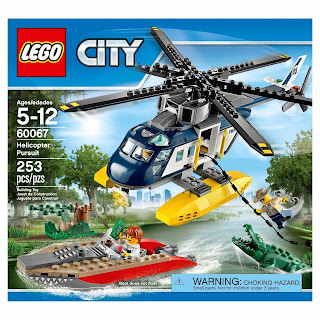 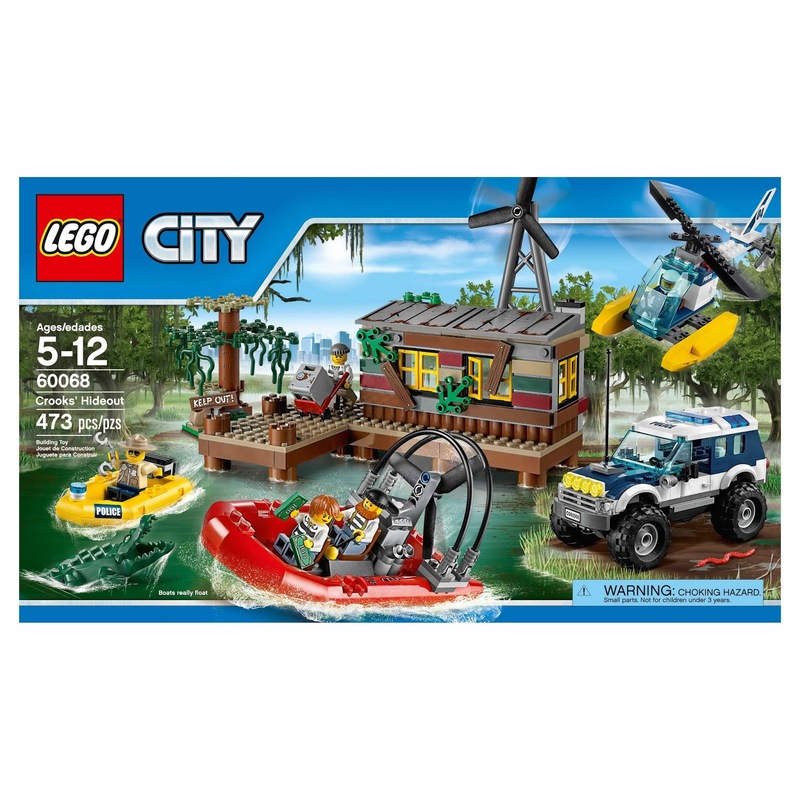 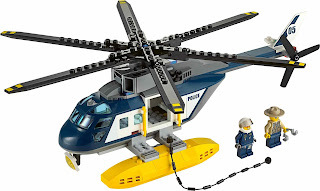 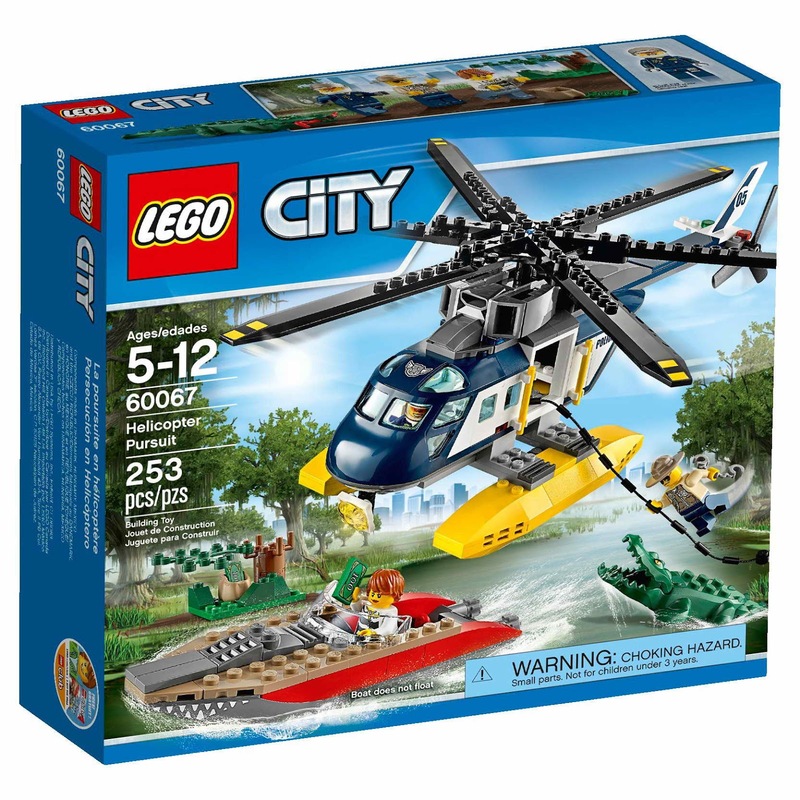 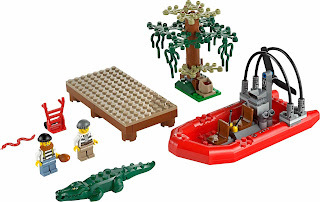 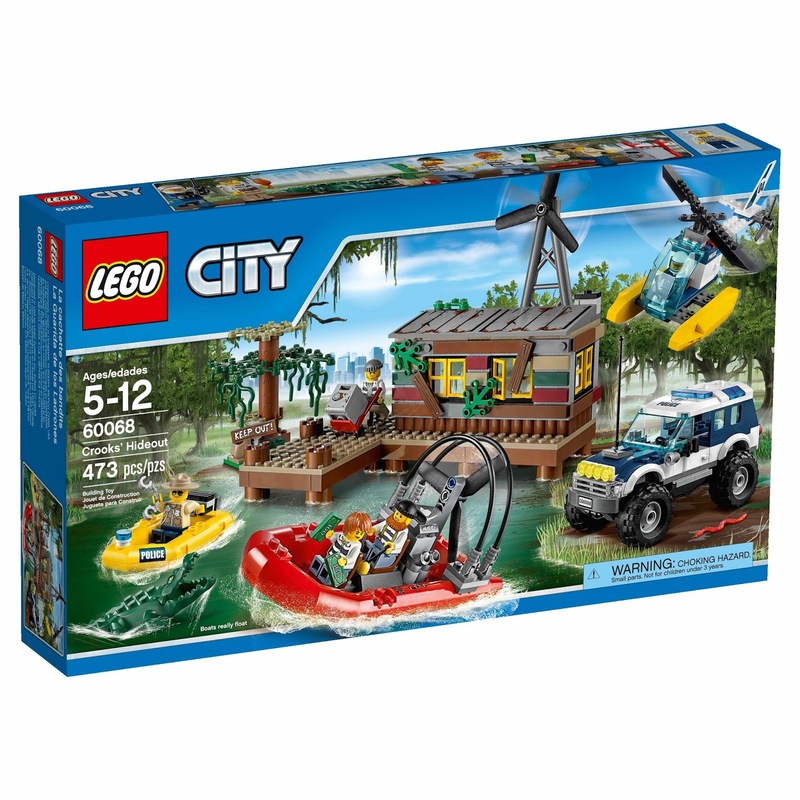 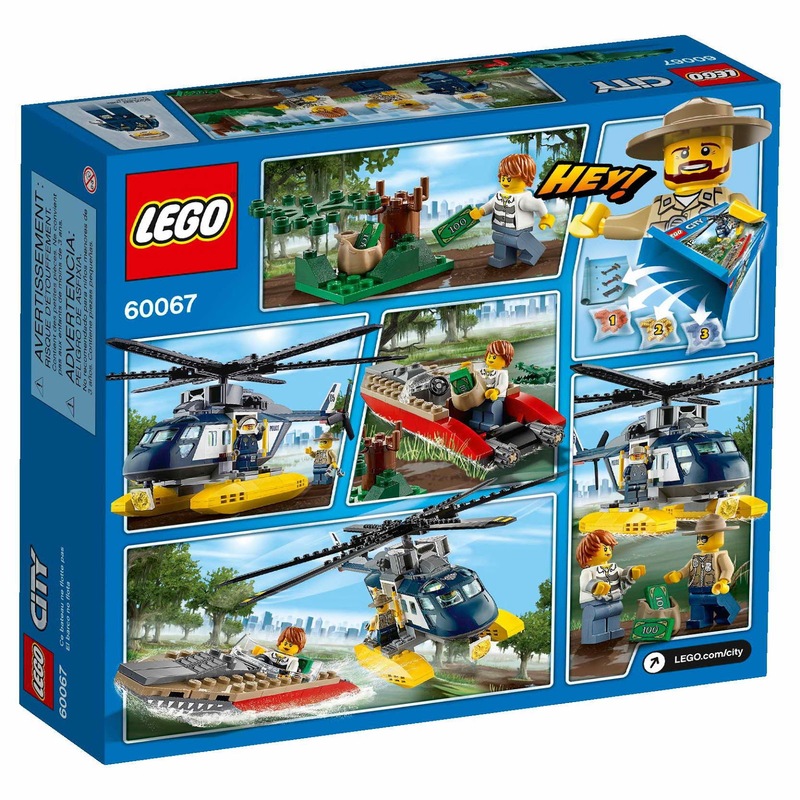 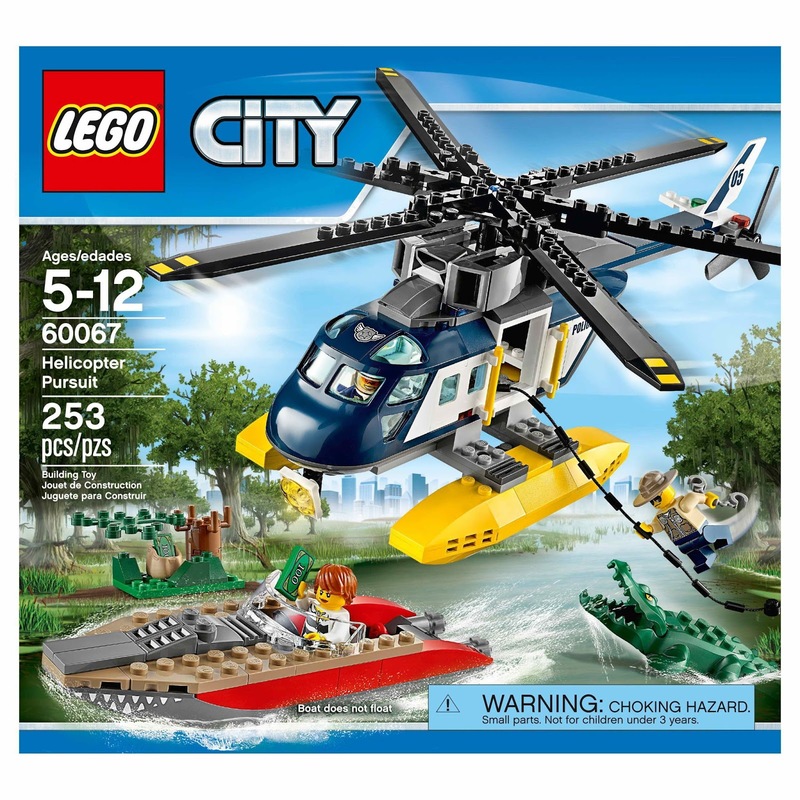 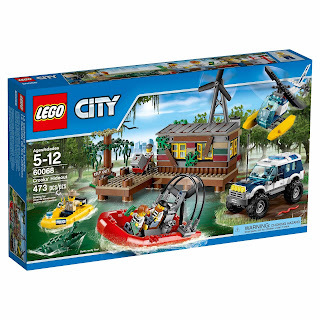 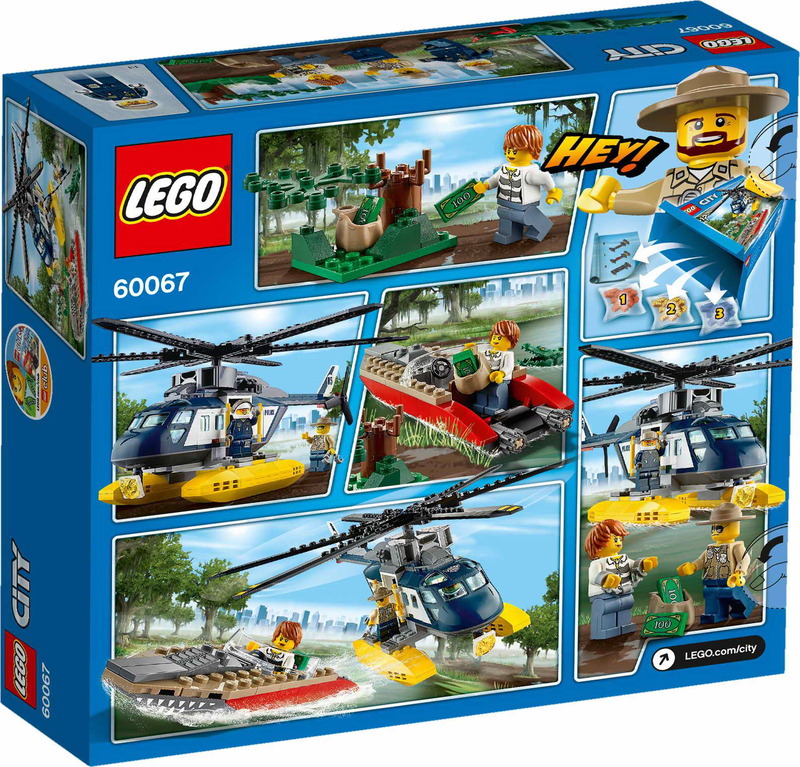 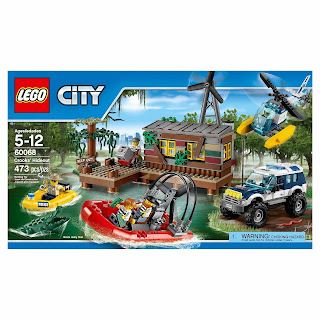 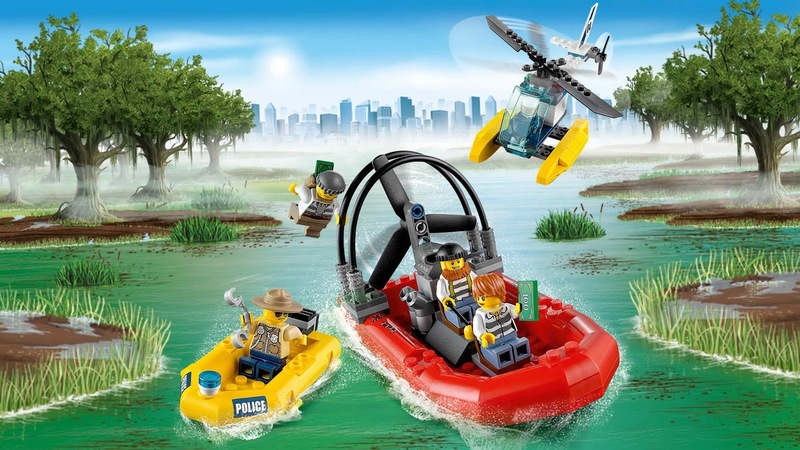 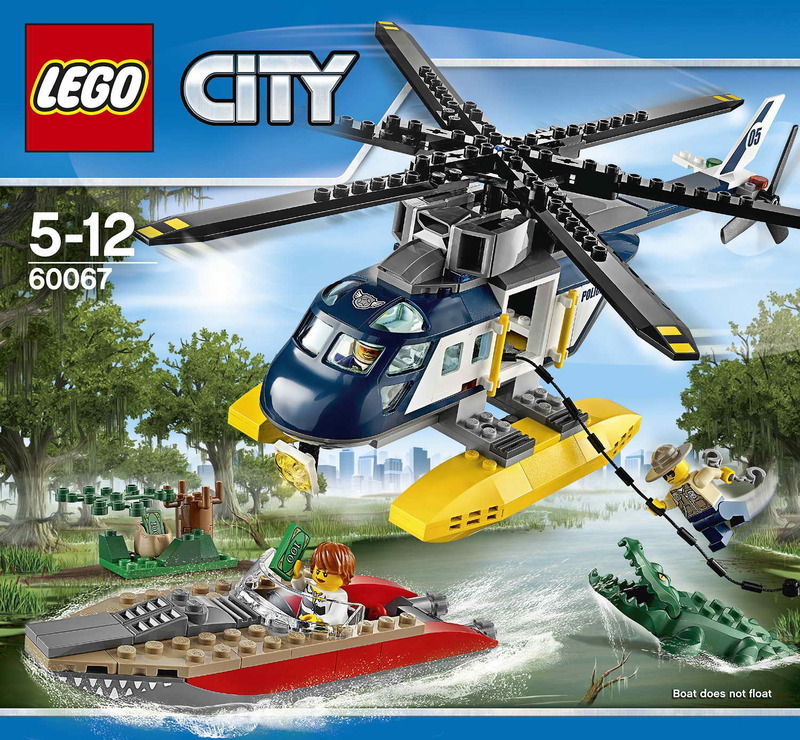 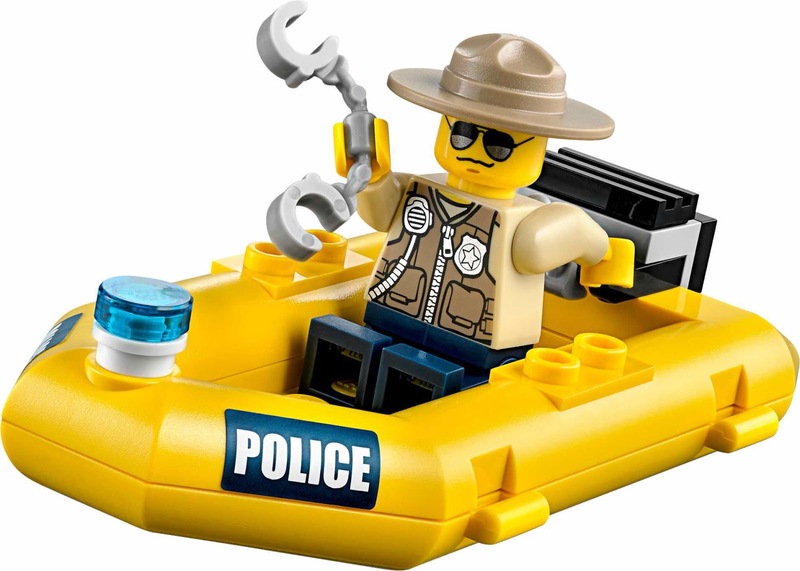 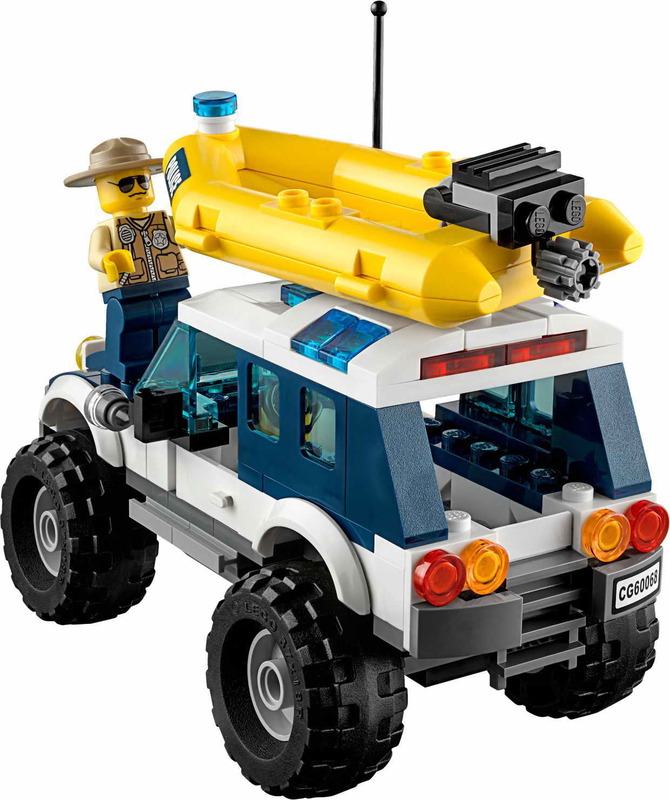 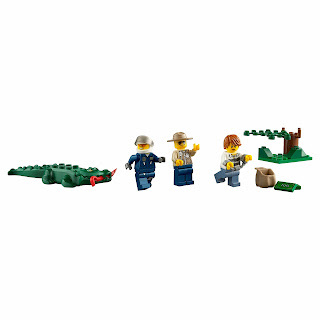 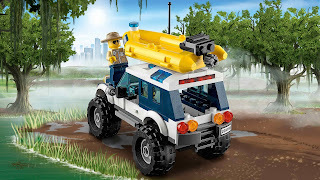 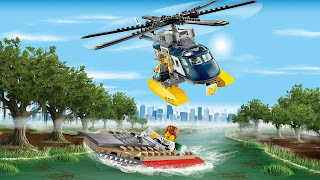 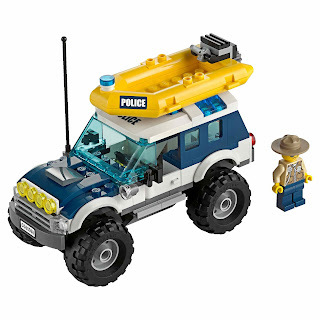 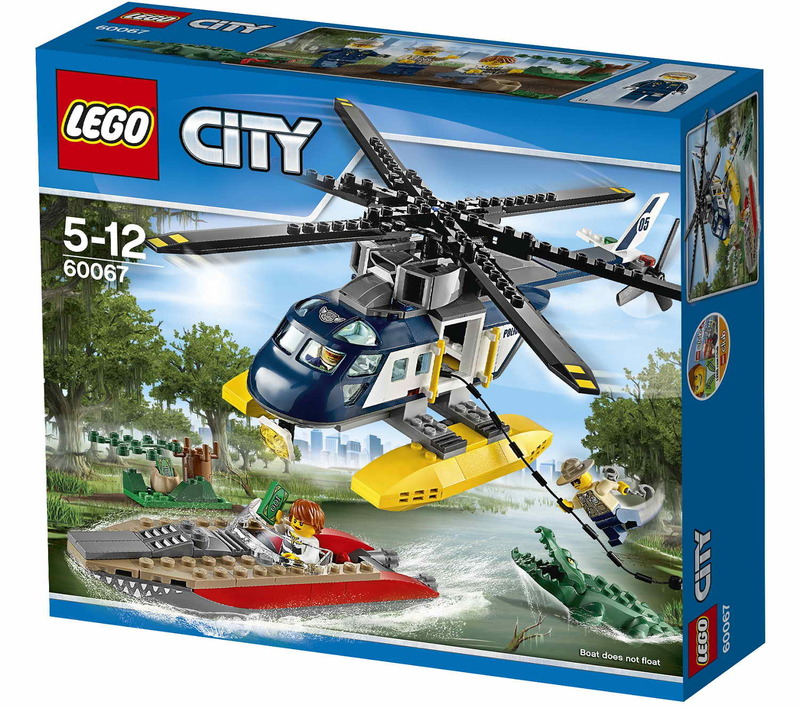 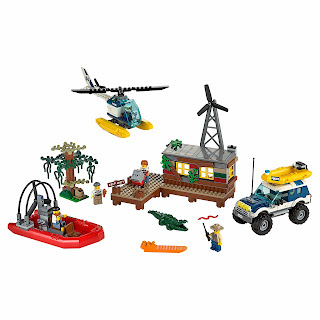 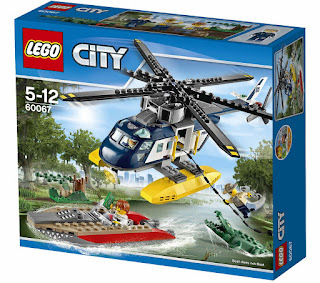 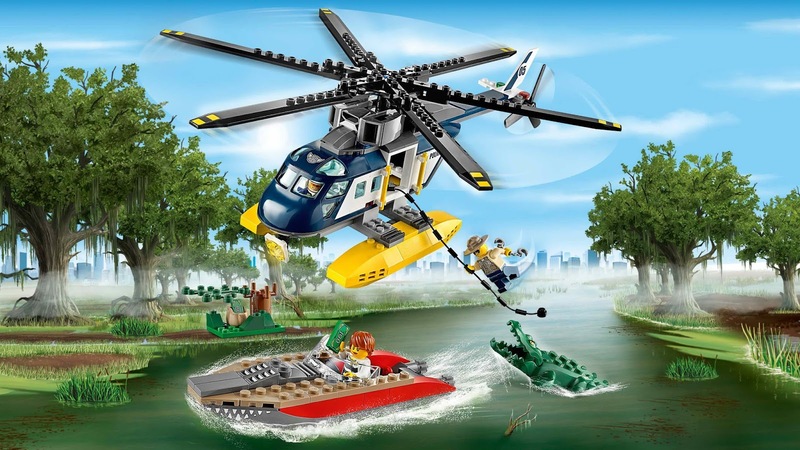 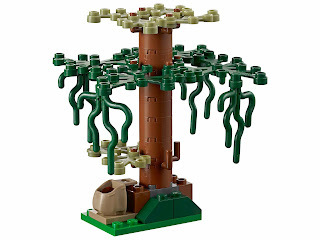 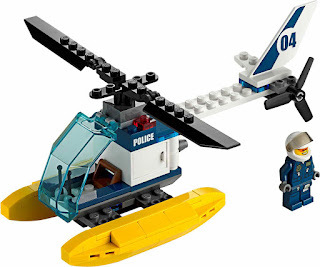 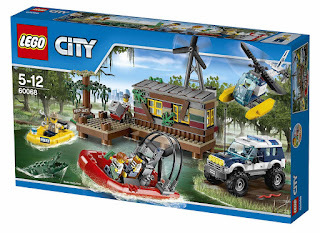 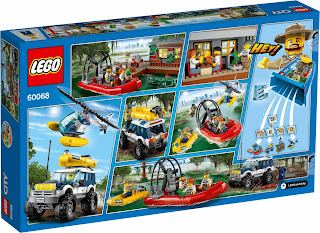 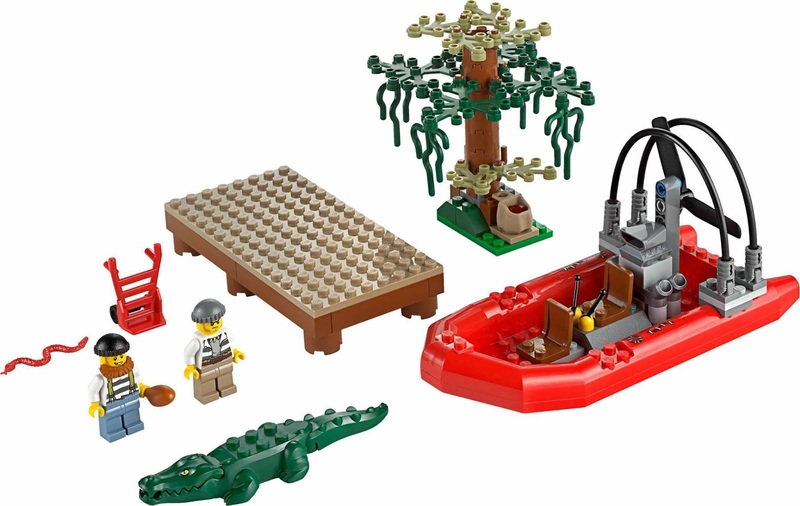 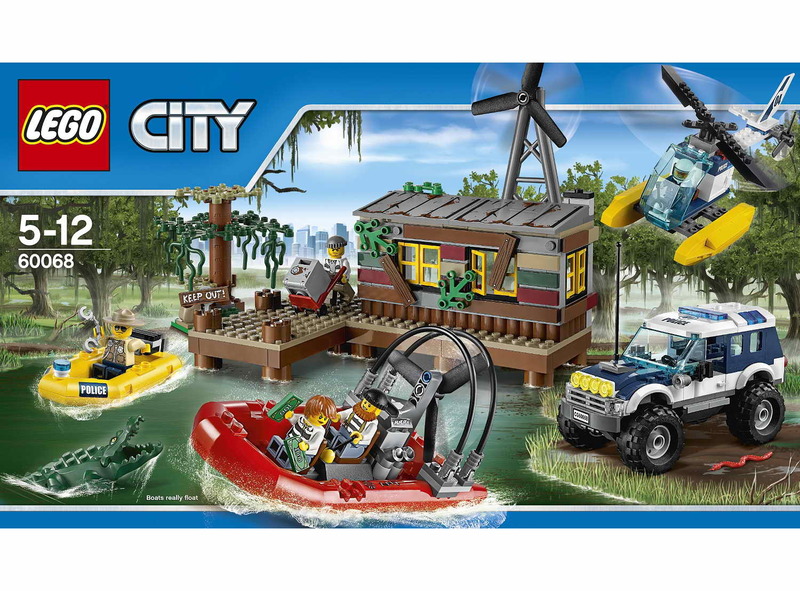 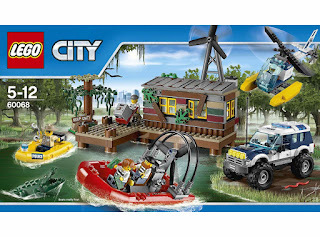 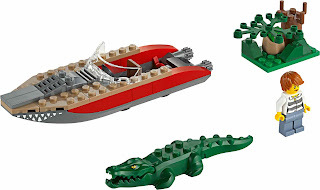 come with a police helicopter, a police 4x4 offroader, a police dinghy, a crooks’ boat, a hideout, a tree and an alligator. 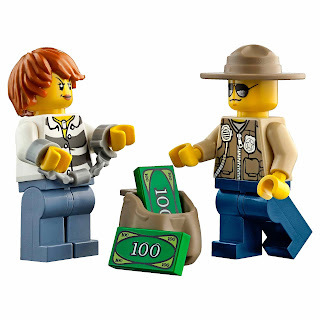 minifigs included 2 police officer minifigs, a female crook minifig and 2 crook minifigs.